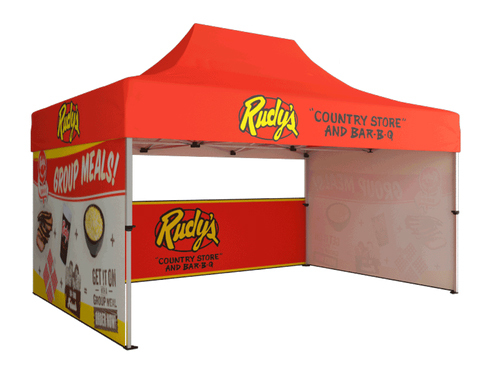 Our Full Print Event Tent serves as an excellent way to provide shade and shelter for outdoor events. A masterpiece with it's rich colors and full printed graphic on weather-resistant fabric via Dye-Sublimation that is sure to impress. The highly durable frame is designed with stability and wind resistance in mind, made of premium 1.7" hexagonal aluminum frame with telescopic legs that will adjust to a range of heights. Don't forget to add back and side printed walls for an added effect!